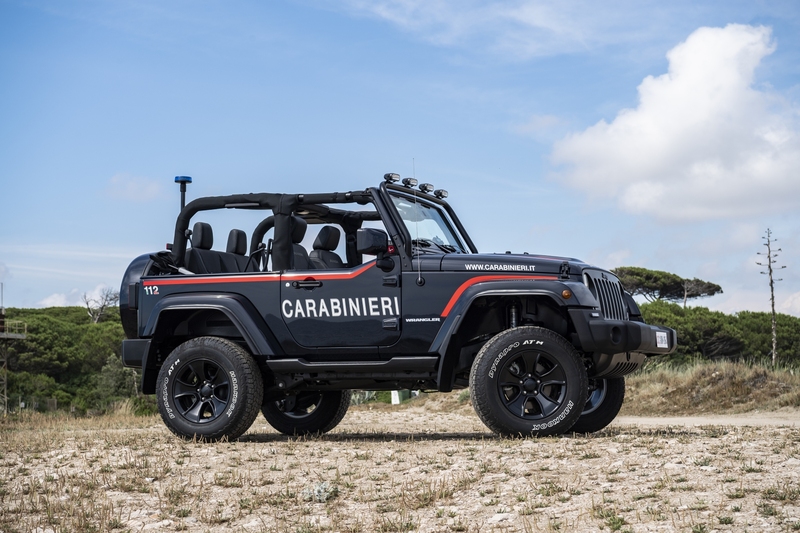 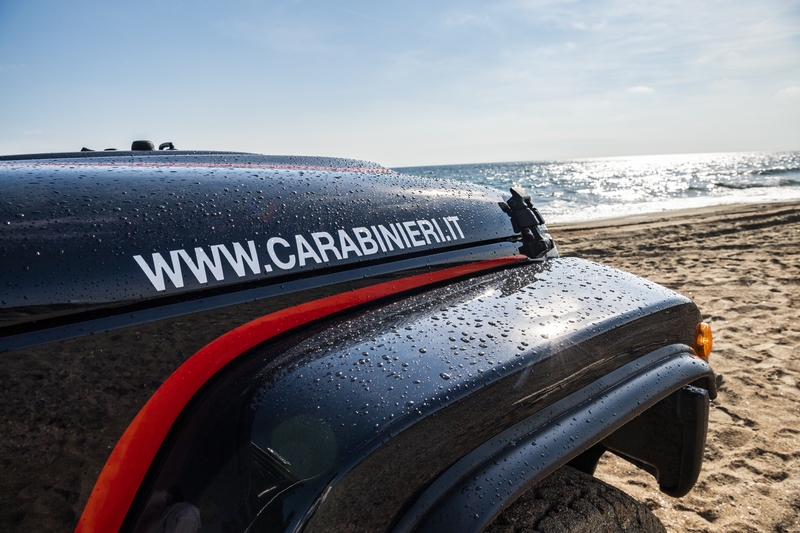 The Italian Carabinieri—the military force that shoulders police duties—has taken delivery of a special Jeep Wrangler. 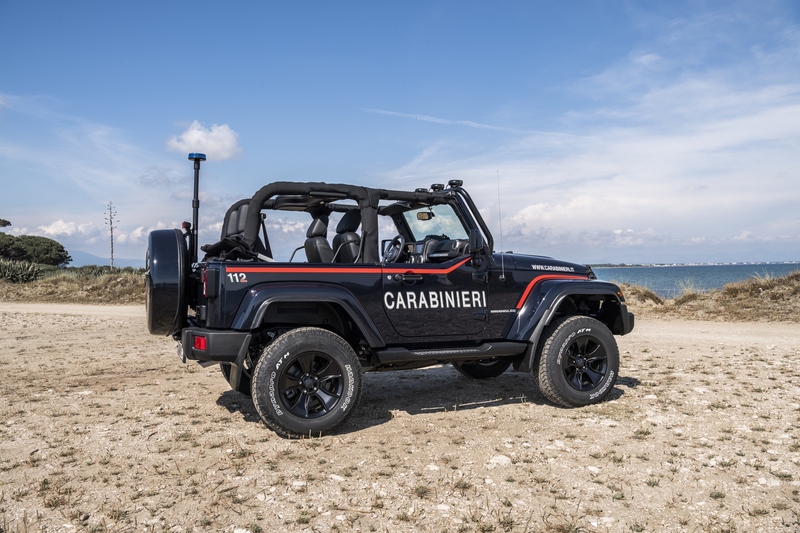 It will be used to patrol the beaches of Romagna this summer, providing constant surveillance and quick intervention in order to protect both locals and vacationers. 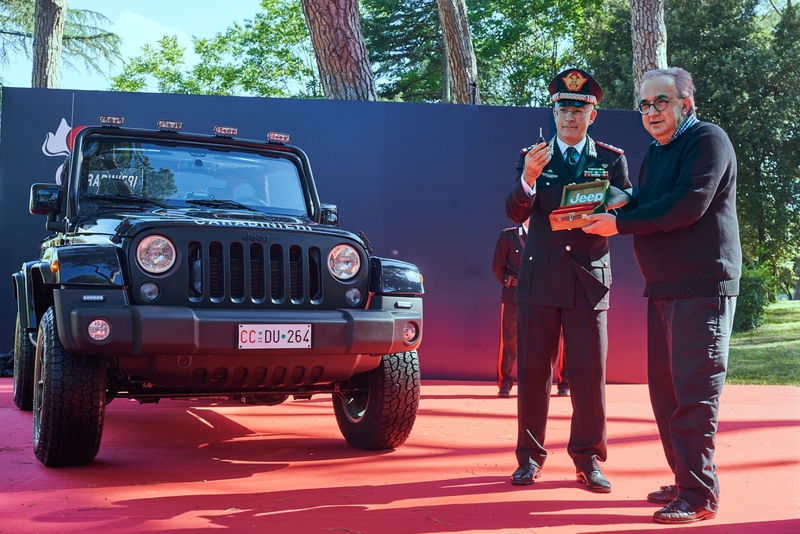 The SUV wearing the department's livery was presented in Rome at a ceremony in the grounds of the Carabinieri High Command, in the presence of Commander-in-Chief Giovanni Nistri, Vice Commander Riccardo Amato, FCA CEO Sergio Marchionne, and EMEA Region COO Alfredo Altavilla. 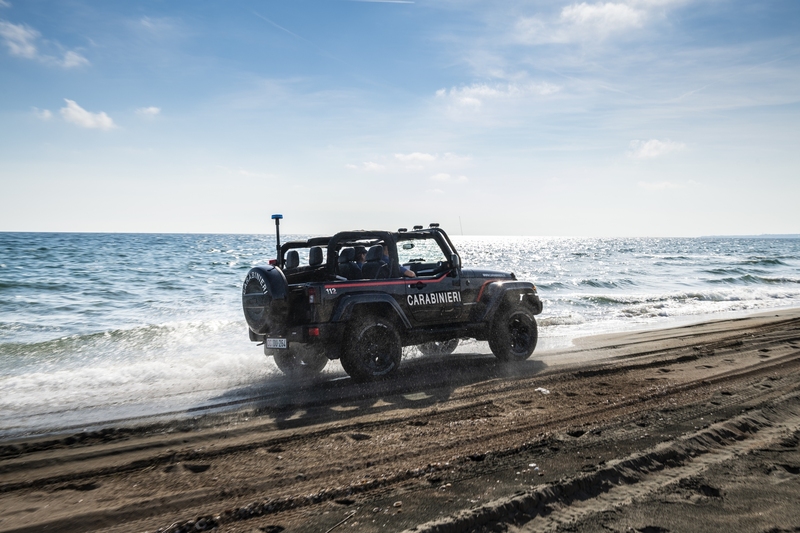 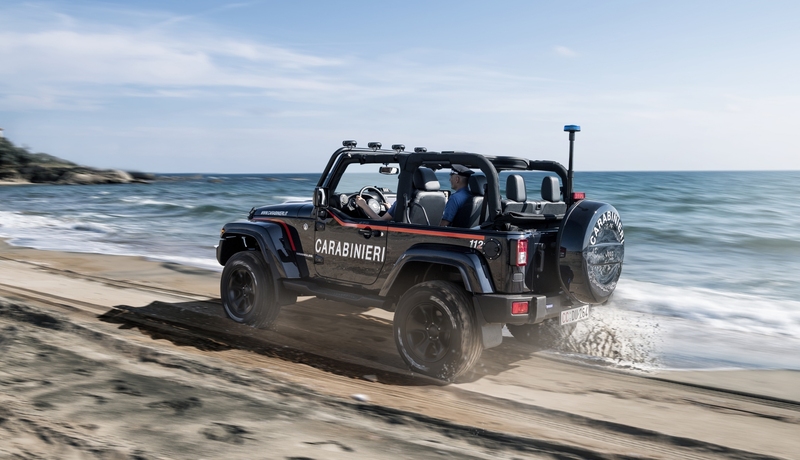 Once active service commences, the Wrangler will be engaged in surveillance work on the Romagna Riviera, and more specifically the 30 kilometers of beach between Cattolica and Bellaria that includes the frequented resorts of Rimini and Riccione. 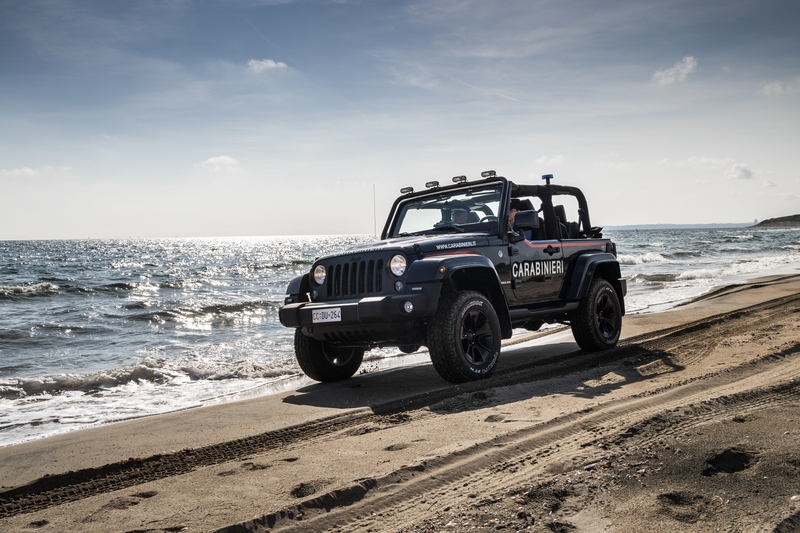 This law-enforcing Wrangler is powered by a 2.8-liter CRD turbodiesel engine coupled with an automatic transmission. 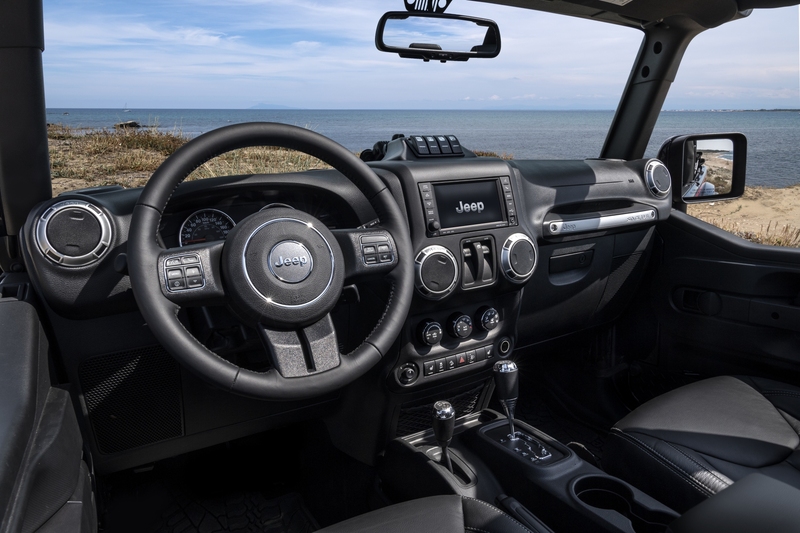 It's also equipped with the high-performance off-road Mopar One Pack which includes a two-inch lift kit by Fox Performance, front steering stabilizer, 17-inch x 8.5-inch Performance Gladiator black alloy rims, extra-large 32-inch all-terrain tires, front and rear molded splash guards and side mudguard extensions. 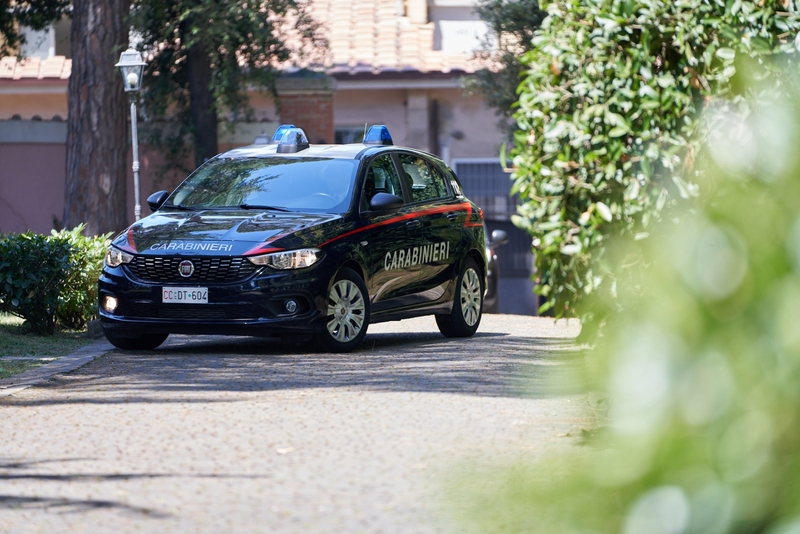 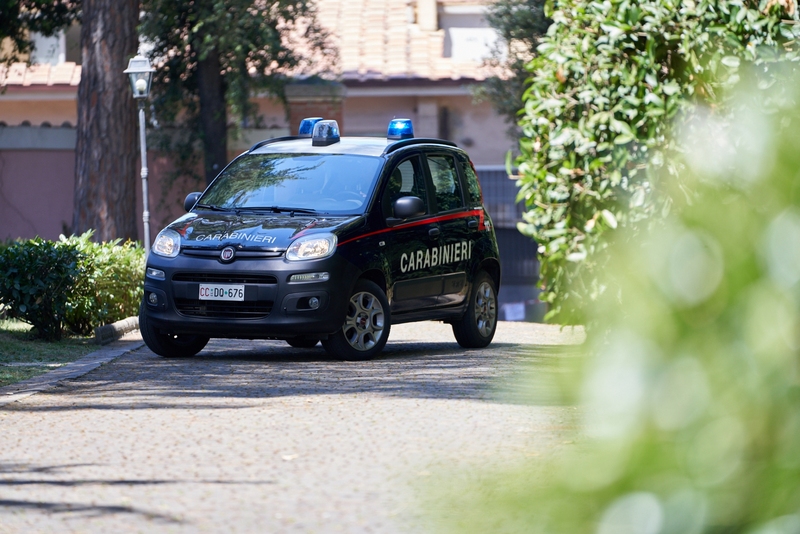 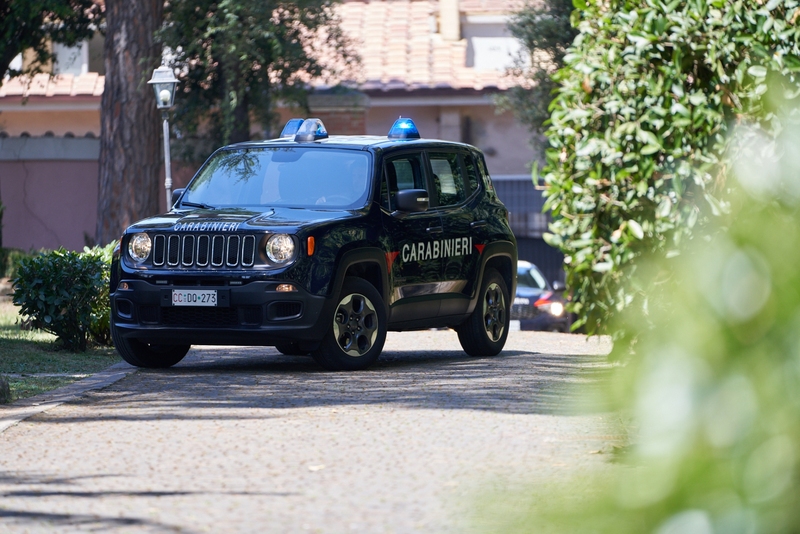 The SUV has also been fitted out with a range of specialist Carabinieri equipment, including a flashing light, siren with telescopic mounting, two signaling disc holders, a portable radio, and even a machine gun holder. 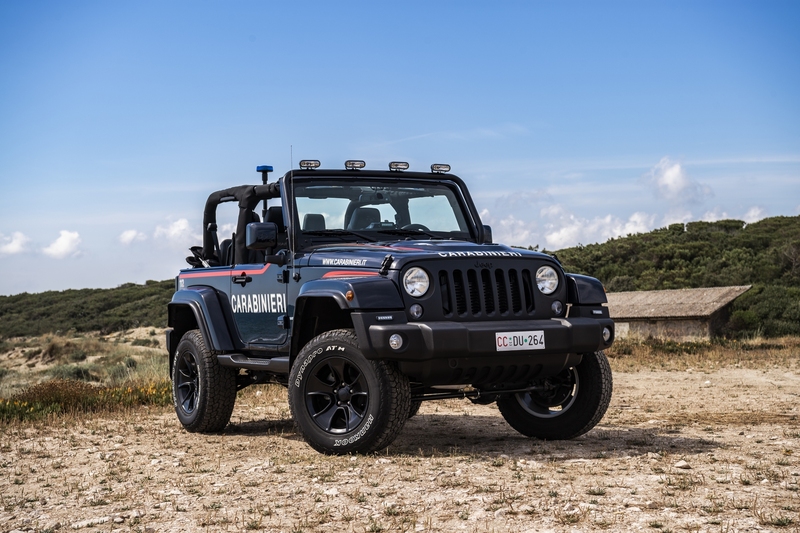 Besides this newly-added Jeep Wrangler, a large number of FCA range models including the Renegade—which is already in service—were also on display at the official ceremony in the Force's livery, reflecting the long-standing partnership between the FCA Group and Carabinieri. 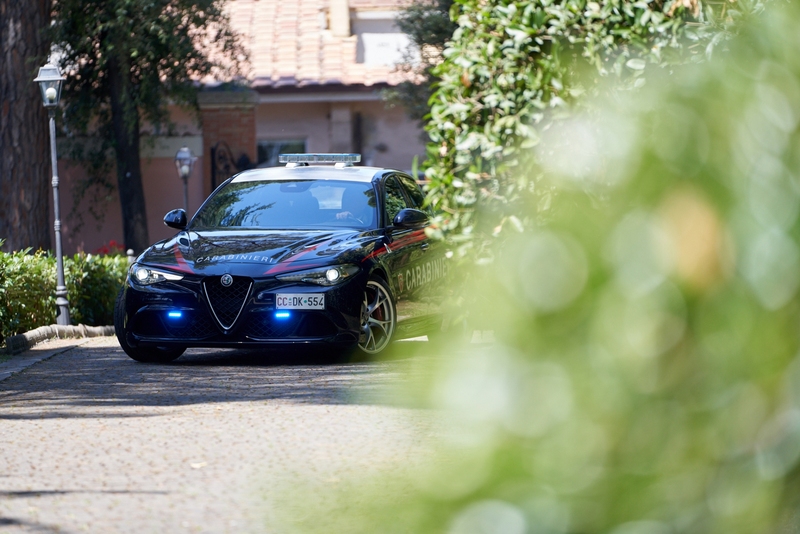 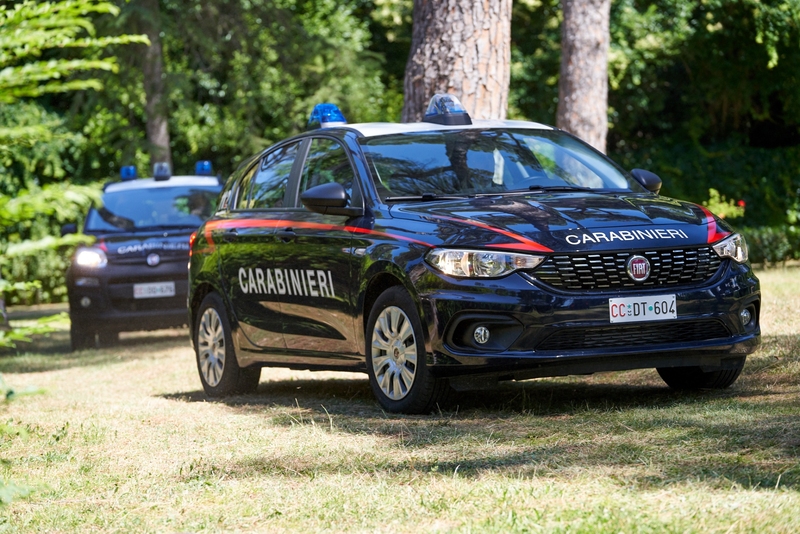 The relationship was established after World War II when all the Force's patrolling cars were Alfa Romeo vehicles, starting with the Giulietta and then transitioning to the Giulia. 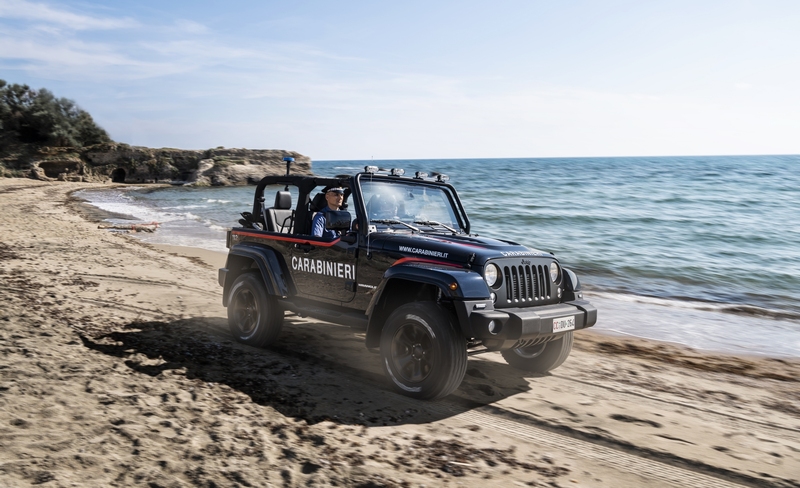 It is expected to deliver an EPA-estimated 24 miles per gallon on a combined cycle, bettering the current 3.7-liter V-6 by about 40 percent.